In “Decision Time,” America must turn from its “path to hell” and rediscover the virtues that made it great. Ferguson argues that time is short for the U.S. 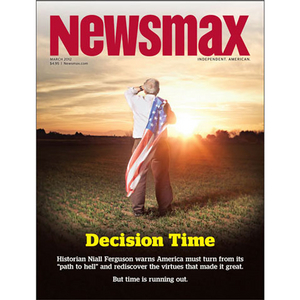 In Newsmax magazine’s special report, “Decision Time,” Ferguson writes that a battle for future of America is under way, and the winner has not yet been determined.